The steel wire is powder coated dark olive green for a long lasting, weatherproof finish and also to make them unobtrusive when positioned in the border. 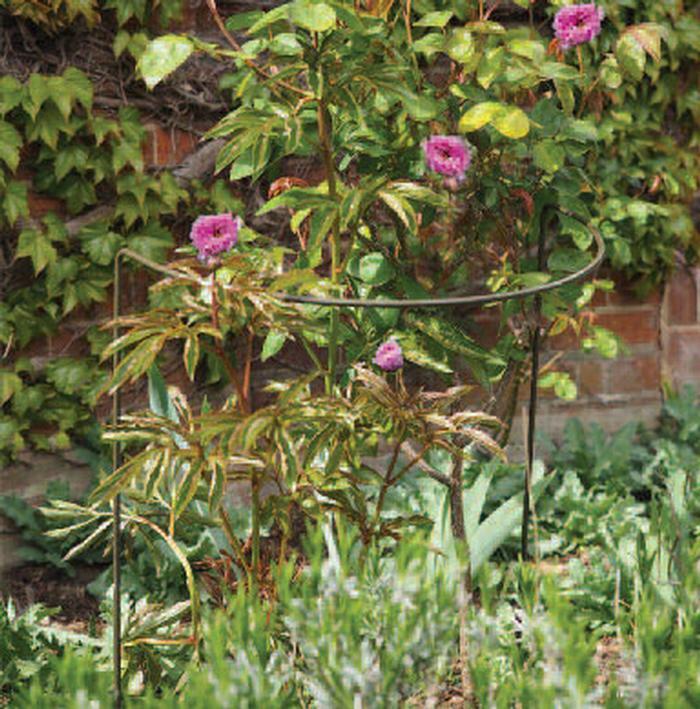 These curved supports are designed to stop plants and bushes flopping over pathways and lawns, they are available in a range of sizes and being quite 'springy', they can be widened or contracted to fit perfectly. The border restraints are easy to install by simply pushing into the ground and can easily be moved as your needs change throughout the season. Available in dark olive-green or original 'rust', supplied in packs of 6.